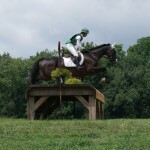 What do jumpers, eventers, dressage, and trail horses have in common? They all need to be fit for their task at hand. Regardless if your horse is used for high-level competition or weekend trail riding, or coming off an injury, the key to getting any horse fit is conditioning. 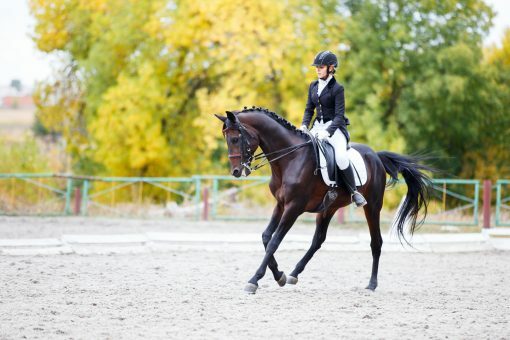 While each horse requires different conditioning techniques, the key to a successful program is to start off slow based on his current fitness level. Setting attainable goals before forming a conditioning program will help keep you and your horse happy and healthy throughout the process. 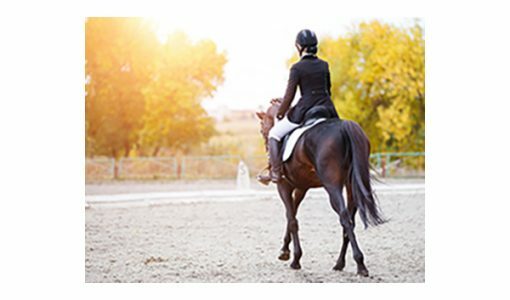 Starting back slowly and increasing your horse’s workout progressively each day as he gets back into shape will help prevent injury or re-injury. For a horse that has been out of work for two to three months or more, the frequency and duration of exercise should be limited to starting with 15-20 minutes. It should also include a lot of walking and walk-trot transitions. The amount of time and frequency should be based on his sweat levels during each workout, and the rate at which his respiratory and heart rates go back down to normal when at rest. It is important to be familiar with your horse’s vitals at rest. While horses that were previously fit will recondition quicker, the longer they are laid up the longer it will take to get back in shape, so keep that in mind when setting goals and timelines. At the starting gate, outline your personal goals, then plan a conditioning program based on your horse’s starting point and the demands of your discipline and riding level. 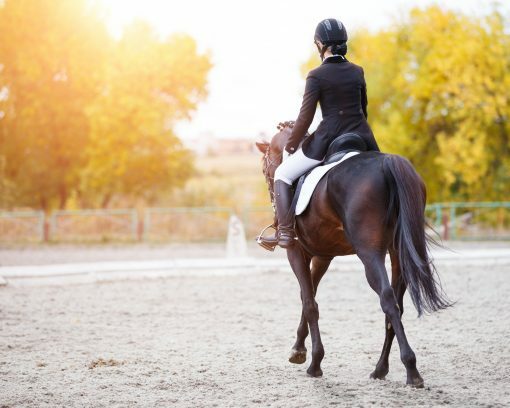 As your horse gets increasingly fit over time, he’ll be able to maintain longer periods of trot, canter, and gallop with less fatigue while practicing in your discipline at a more demanding level. As you work on your conditioning program, pay close attention to your horse’s legs for any swelling and bumps and monitor for subtle lameness. 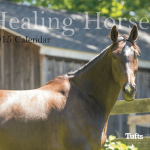 At Tufts Equine Center, we specialize in the diagnosis and treatment of lameness and performance-related conditions and offer specialized care for all equine athletes. Lastly, the heart must always be evaluated. Cardiac abnormalities can also play an important role in limiting equine performance. Our Cardiology Service is staffed by leaders in their field with advanced training in equine cardiology and interpretive expertise. We utilize the latest in ultrasound technology to diagnose and treat all equine athletes. We welcome referrals for investigations of poor performance, murmurs and arrhythmias (rhythm changes) discovered at pre-purchase examinations, routine health checks or during an illness. Remember that all systems must be equally durable to prevent injury, and, keeping all of this in mind, you will be well on your way to having a fit and sound partner.